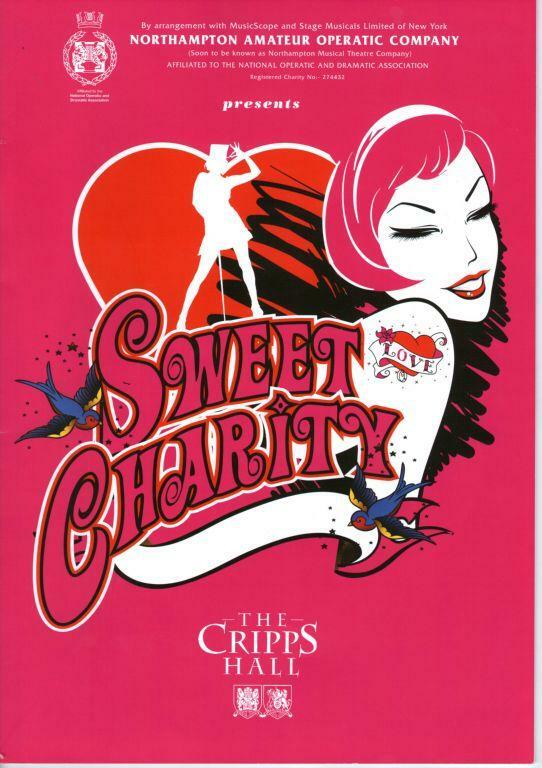 The Northampton Amateur Operatic Company (NAOC) might need to consider a change of name after Tuesday night’s performance of Sweet Charity at The Cripps Hall theatre, at Northampton School for Boys. For not only was there no trace of opera to be found, the standard of performance was certainly worthy of that which would be expected on the professional stage. The musical follows the mixed fortunes of New York dance hall hostess, Charity Hope Valentine, in her search for Mr Right. Including well-known songs such as Hey Big Spender, The Rhythm of Life and If They Could See Me Now, it is a charming crowd-pleaser, and NAOC did not disappoint with this staging, which featured strong vocal performances and energetic dance routines. The musical relies heavily on the performance of its leading lady, as the character of Charity is by far the largest role, and congratulations must go to the brilliant Lynnette Turner-Parry for her engaging performance in this adaptation. In an all-round strong cast, special mention must also go to Lisa Simpson and Alexandra Underwood, who played dance hall hostesses Helene and Nickie respectively, and to Alex Taylor for his role as Charity’s fiancé, Oscar. I was delighted to hear the company will soon change its name to Northampton Musical Theatre Company. The sooner they get rid of that “amateur” tag the better.